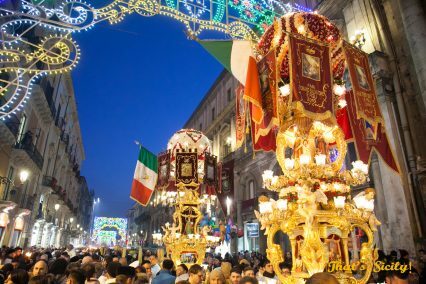 Sicily has about 400 patron saints, each with their own day and particular way to celebrate them, the biggest celebration of them all being St. Agata, Catania’s patron saint. 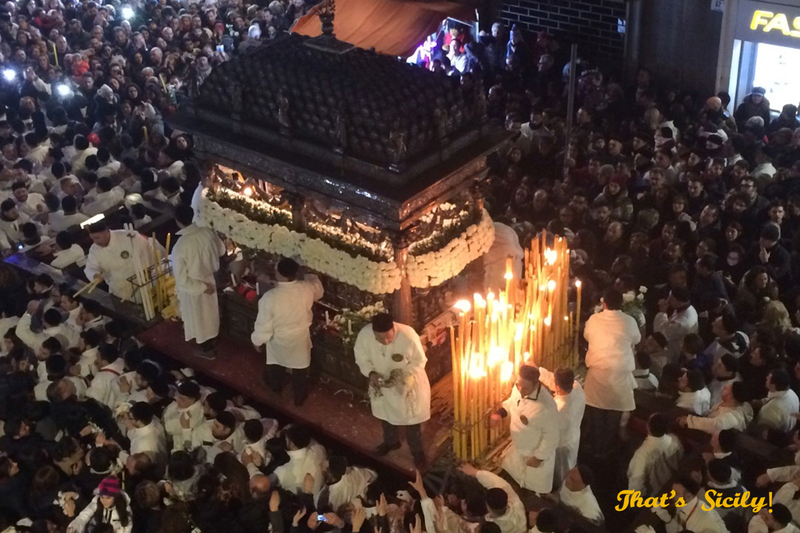 The Festa di Sant’Agata leads the way when it comes to religious devotion in Sicily. 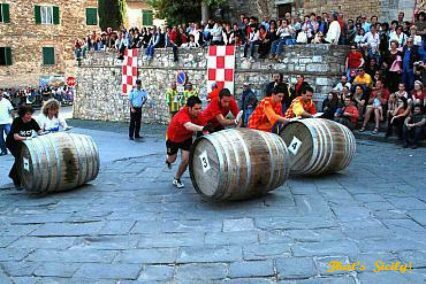 Attracting up to a million people over a three-day period, the first of two annual festivals takes place between 3-5 February, commemorating the saint’s martyrdom. Highlights include the procession on the first day of the cannalori, eleven huge heavyweight candles which are carried through the streets to the Piazza Duomo. On the second day, the crowds gather to watch the procession of the saint’s statue out of the Cathedral and through the streets of the city before returning to the Cathedral in the evening. The statue is taken out of the Cathedral again on the third day and, encouraged by the crowd, carried by statue bearers who run up the steep Via San Giuliano as testament to their commitment to the saint. Alongside the religious piety, there are marching bands, cheering crowds, fireworks and food stalls. 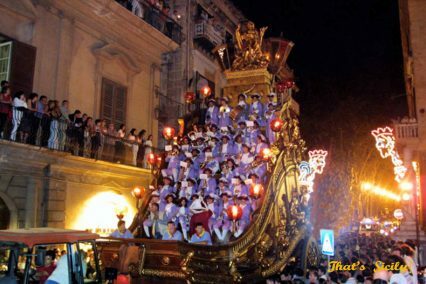 A second festa takes place on 17 August, this one commemorating the return of Sant’Agata’s relics from Constantinople back to Catania in 1126. 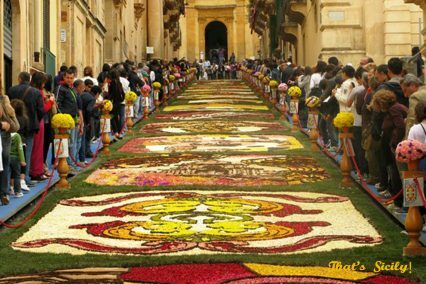 There is never a shortage of things to see and do in south east Sicily but in May, you will be spoilt for choice. The patron saint of Syracuse, Santa Lucia, is celebrated on the first two Sundays of May as a thank you for saving the city from the 1642 famine. 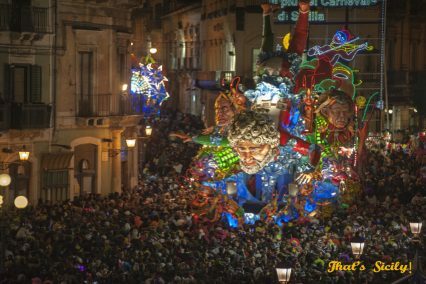 At the end of the month, nearby Ragusa re-enacts the martyrdom of San Giorgio, followed by one of Sicily’s most spectacular fireworks displays, at the Festa di San Giorgio. 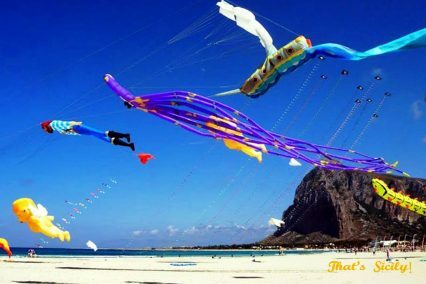 Palermo in July is party time so if you are planning a summer holiday in Sicily, the island’s north west coastline is a good place to head for. 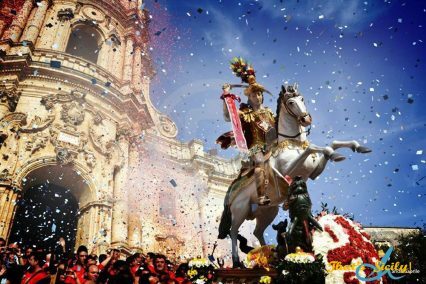 Palermo’s biggest annual festival celebrates patron saint Santa Rosalia who saved the city from the plague in the 17th century. 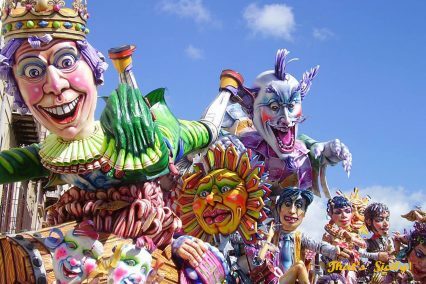 Events kick off on the evening of 14 July when crowds line the street to cheer the procession of a grand chariot, bearing the saint’s relics, from the Palazzo dei Normanni, through the Quattro Canti, to the waterfront – at which point street food stalls, festivities, music and fireworks take over. 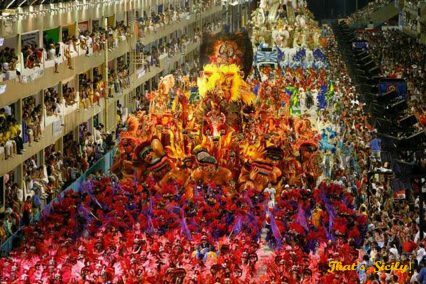 Combining folklore and religion, the five-day event attracts thousands of tourists to the city. San Salvatore, Cefalù’s patron saint is celebrated the 2-6th of August with a procession and a Cathedral mass, attended by the town’s inhabitants, clergy, military and civil authorities; elsewhere, there are concerts and fireworks and the streets are filled with food stalls and the aroma of the popular Pasta a Taianu dish. 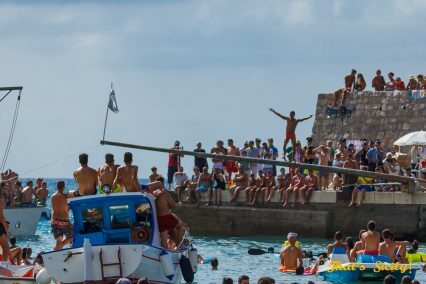 The festivities culminate in the ritualistic ‘ntinna a mari’ (sea antenna) when locals compete to grab a flag attached to the end of a long pole that is suspended over the water. 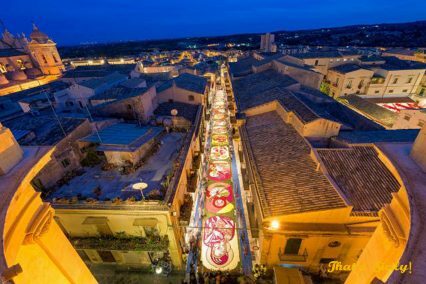 Cefalù is one of Sicily’s most popular holiday towns, particularly during August, and so the crowds at the festival, and particularly the sea antenna competition, can be huge. San Bartelomeo, the patron saint of Lipari and protector of all the Aeolian islands, celebrated not he 24th of August.